Routines make our life easier. If you had to think hard doing the most mundane of things like brushing our teeth or putting on slippers, our brains will be on overload and our willpower will tire out easily. Automation of behavior saves us brain and will power. Habits are powerful as it helps us streamline mundane decisions, saving our mental capacity and energy for more complicated ones. Forming new habits and leaving behind old ones can be quite a pickle. If it was that easy, then everyone will follow through with their New Year’s resolutions. Tricky as it maybe, it can be done. You just need to understand first the basics behind the science of habit-forming. Building a habit has a process which the scientists call the “habit loop.” It has 3 parts; a cue, a routine and a reward. Say for example, using toothpaste. Nobody used it about a hundred years ago. But a certain guy named Claude Hopkins introduced its concept via the habit loop. Hopkins used the filmy plaque that forms naturally on our teeth and drew attention to it by telling people how unattractive it was, especially when enough of it has formed on your teeth and you’re smiling. So when you can feel and see that building up on your teen, that was the cue. Routine would the actual daily brushing. And the reward was that clean, tingling feeling you get after brushing. The cue starts the routine/ habit and the reward is the positive thing that happens after the routine. This is how habits are formed, through the habit loop of cue -> routine -> reward. If you want to change or build a habit, start with something small. The first step is identifying the first element in the habit loop, the cue. Say you want to start journal writing because of its benefits. Start with a cue, a trigger. Think first of blocks of time where you can start journaling. Then instead of saying “I’ll start journal writing” go along the lines of “I will start journal writing once I get home and I reach my bedroom.” That will be your cue, when you get home and you visit your bedroom. That will start the trigger for you to write. Once you’ve done journaling, there has to be a reward to complete the habit loop. Say “When I finish writing, I’ll take a bath.” Or when you finish writing, you can watch your fave TV series. That would be your reward. Don’t have your reward in the middle of your routine. Follow the habit loop to firmly establish its flow. Always start with something small. Creating a new habit takes a lot of time and willpower and you don’t want to overwhelm yourself by trying to change or add more to your routine. You may falter and you might get tired or you might forget to do it. It will be helpful to use a tool that will remind you of the things you need to do. In Daily Notes, you can easily remind yourself to start your journal writing habit. 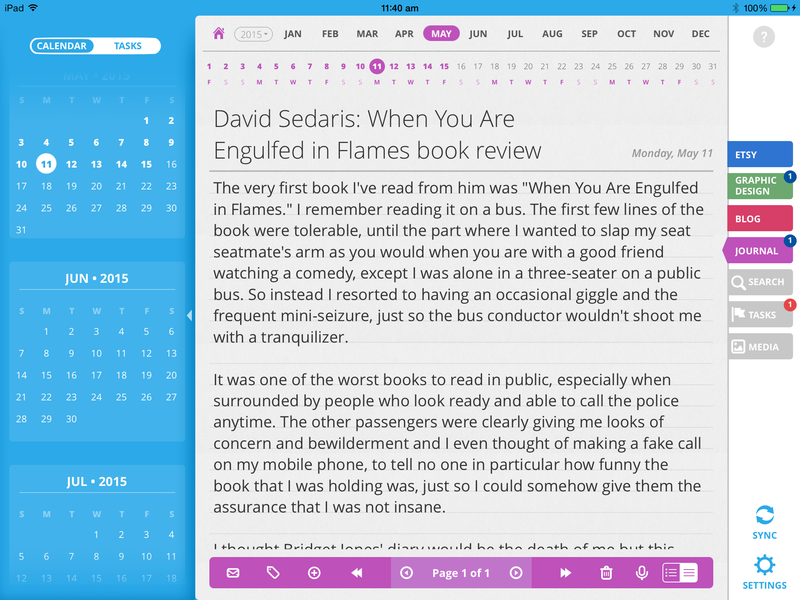 And you can actually also do your journal right on the app. From there, you can observe your progress. You can check the number of days you’ve done for journal writing, your entry per day and also the days you might have missed writing. You can create a recurring task for journal writing, to remind you on a daily basis. You can use Daily Notes to establish a new set of habits. Just add it as a Task, note it down and check your progress daily. You’ll see how far along you’ve come and next thing you know, you’ve started a whole new habit and will be forming a new one again soon.